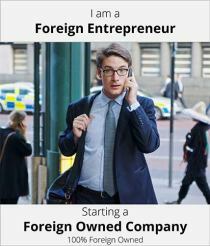 Foreign Entrepreneurs can set up their own company in Indonesia and establish a Foreign Owned Company also known as a Penanaman Modal Asing (PMA) in Indonesia. The company will be a Limited Liability Company. It can be 100% foreign-owned or it can also be established through a joint venture with Indonesians partners subject to the Negative Investment List (Daftar Negatif Investasi (DNI)) as it stipulates which sectors are open to foreign investment in Indonesia as well as the percentage of foreign ownership permitted. How will we have to prove that we have IDR10 billion (USD 750,000.00)? To prove that such amount exists, the PMA Company can deposit all of it as a paid-up capital, or send a financial balance sheet of the total amount to BKPM (Badan Koordinasi Penananam), which can be sourced from paid-up capital and other forms of capital. The capital IDR10 billion will be stated in the Deed of Establishment which will be done by the Notary. What is the process of injecting the said sum? Do we have to open an Indonesian bank account? You must inject the said sum at the company’s bank account. However, you only can open the bank account after you complete all the incorporation documents. Since you will not have a company bank account during the incorporation process, the shareholders need to sign a capital statement letter and confirm that the investors have sufficient funds to transfer the capital once the company is incorporated and have bank account. The capital statement letter will be prepared by the Notary and they will submit the letter to the Ministry of Law and Humans Rights as needed. How should the IDR10 billion be utilized? How long would we need to retain the 25% paid up Capital from the IDR10 Billion? Maximum 60 days after the approval letter from the Ministry of Law and Human Rights is issued. How many shareholders are required? How many local and how many foreigners? Minimum 2 shareholders: Can be 1 local and 1 foreigner or can be 2 foreigners. Can a shareholder be an individual or a company? Yes, the shareholder can be either an individual or a company. How many percent shares must each local/foreigner shareholder hold? Shares can be owned up to 100% by the foreign investors, but according to the Negative Investment List, ownership of the PMA shares is classified based on the business field and it is varies from 0% to 100%. Can a foreigner having a work permit working in Indonesia be regarded as qualified to be a local Director in the company? Yes, if the foreigner has a work permit, he or she can be the director of the company. Can a foreign company still be set up in Indonesia if the business type is not in this list? If yes, what are the shareholding requirements? The Negative Investment List is compiled by the Indonesia Investment Coordinating Board (BKPM). It stipulates which sectors are open to foreign investment in Indonesia as well as the percentage of ownership permitted. However, if you intend to set up business in Indonesia if the business field is not in the list, we can offer you to set up a local company (known as a Perseroan Terbatas or PT for short). Please note that to register a local PT Company, it has to be 100% owned by Indonesian citizen. Hence, you will need a local nominee with notarized nominee agreement to protect the foreign entrepreneur’s ownership in the company. We will ensure the nominee arrangements safely by managing notarized nominee agreement between you and the local nominee. What are the documentations needed for setting up a company in Indonesia? What are the considerations needed when looking for a business operation of the company? A resident address (house or apartment) cannot be use as an office address. You need to use business or commercial area as your office address. What is the normal timeline? Click here for more information in regards to Indonesia Company Registration.